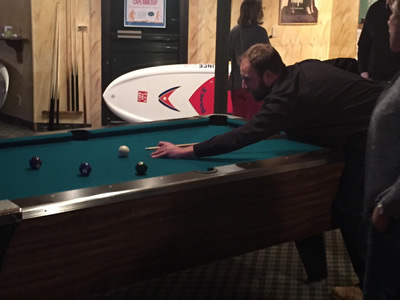 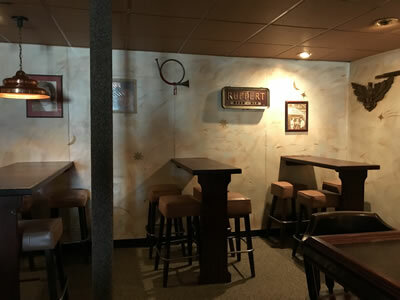 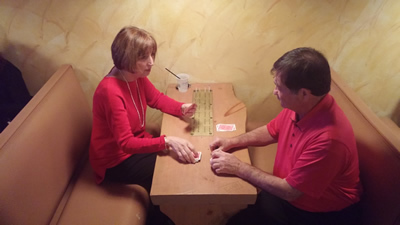 The Lobster Trap Pub, which is in the heart of Essex on the North Shore of Massachusetts, features an authentic sports bar atmosphere perfect for groups of all ages. 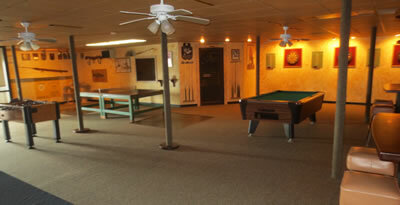 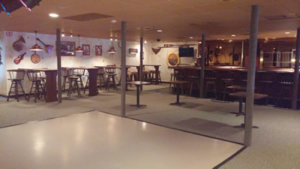 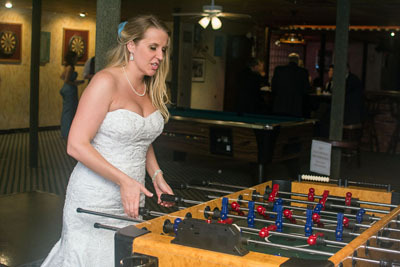 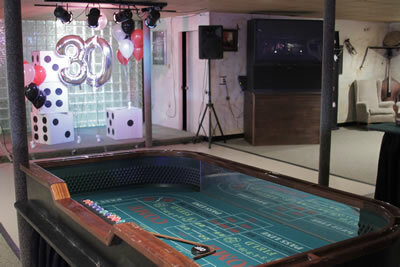 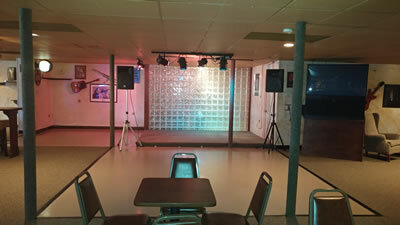 A partition separates the game room side (including dart boards, ping-pong, foos ball and pool tables) and the party room with a stage and dance floor. 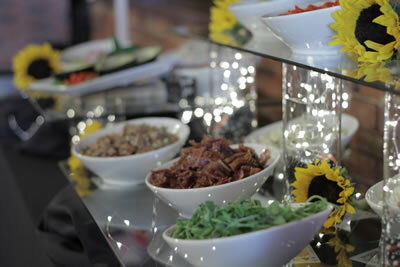 Included in the room rental for private events is a variety of table types and arrangements, as well as a private bartender. 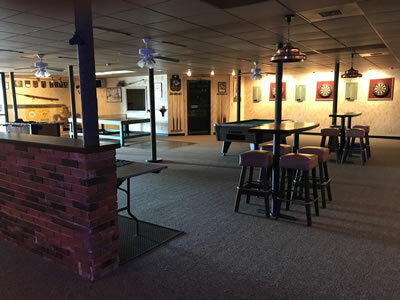 The Lobster Trap Pub in Essex, MA, accommodates up to 200 guests cocktail style or up to 100 guests for a sit-down style event, and is available to rent year-round for all types of private events. 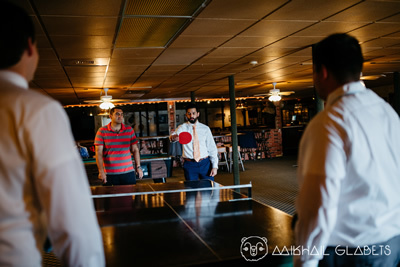 In this space, we host corporate events, rehearsal dinners and casual weddings, school reunions, birthday and graduation celebrations, and many other affairs calling for a fun, relaxed and informal New England party venue. 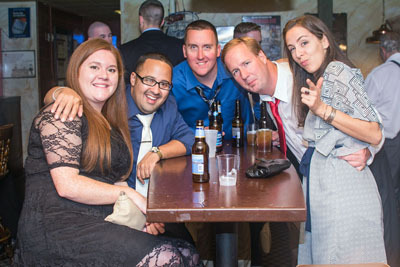 As always, custom menus are available, though many hosts opt for our amazing signature clambake or barbecue menus or our pub-style menu. 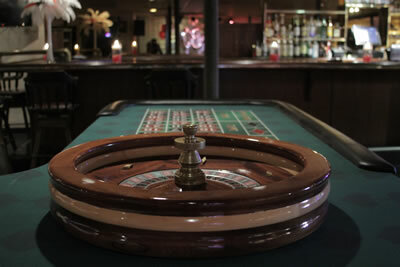 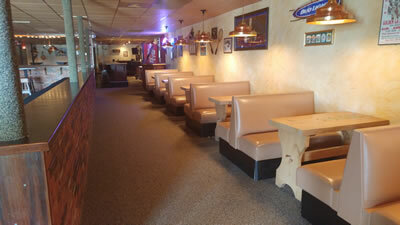 Contact us to discuss availability of The Lobster Trap Pub and to tell us about your upcoming celebration.